The Commission monitors European policy developments in the areas of migration, asylum, integration and anti discrimination and informs churches on these developments. 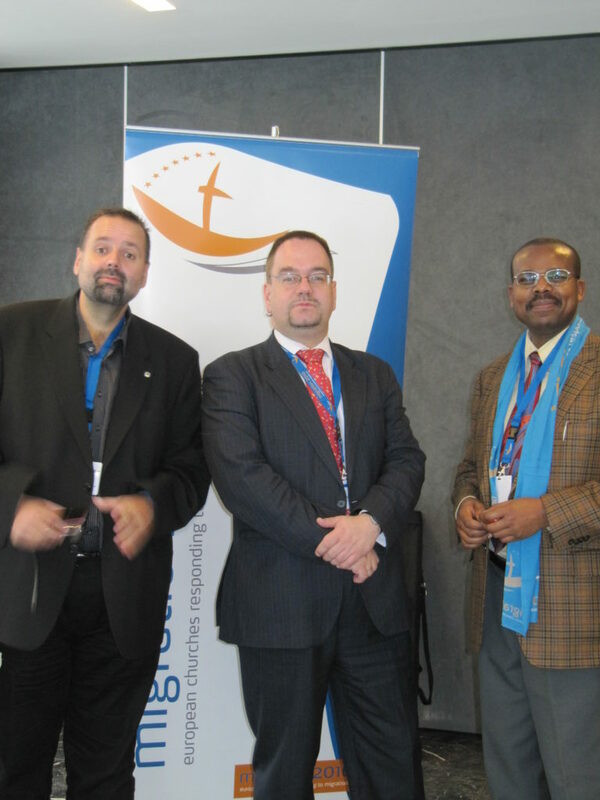 The Commission provides a platform of exchange for its members, members of the World Council of Churches (in Europe) as well as of the Conference of European Churches and other ecumenical or church bodies working in the same field. The Commission monitors and co-ordinates efforts and initiatives undertaken by churches and other bodies in this field and formulates common European ecumenical advocacy positions on these issues. It promotes awareness-raising on issues of racism and xenophobia within the churches and in society; it monitors the situation of migrants, refugees and minority ethnic people at local, national and international levels. The Commission represents its members towards the European institutions such as the European Union and the Council of Europe, and at meetings and conferences on relevant issues. It contacts and co-operates with public authorities, international organisations, trade unions, employers’ associations and associations of migrants, refugees and minority ethnic people. It organises consultations, seminars and long-term projects encouraging co-operation between members and non-member churches and between churches and other bodies; it identifies, in consultation with churches involved, projects and programmes including training and capacity building, and assists churches to implement them or to carry them out themselves.